Our double glazing in Bexhill can transform your property. Brand-new double glazing offers many benefits and you will notice the difference it makes to your home. Whether you're embarking on a complete refurbishment or if you simply want to replacement windows and doors – Windows Xpress will be able to recommend the most relevant product and customise it to your exact specifications. When it comes to deciding what double glazing you want to add to your Bexhill property, there are many options and variants to consider. Windows Xpress has a wealth of experience in helping local homeowners in Bexhill. We can assist you in finding the best possible products for your home improvement project. From long-lasting composite doors, through to uPVC windows, there will be a product that fits your needs perfectly. 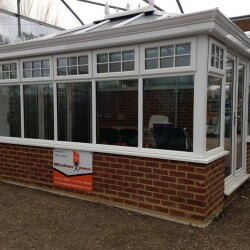 We can offer double glazed conservatory solutions, roofline renovations and a whole host of other glazed services that will benefit your Bexhill-on-Sea and East Sussex home. We at Windows Xpress present a beautiful range of double glazed uPVC windows for customers in Bexhill and throughout East Sussex. You will find the very best double glazed window styles with Windows Xpress. Not only do we provide expert installations, but we also offer extremely high-quality glazed windows from the Liniar uPVC profile. 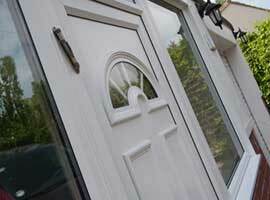 Our range of double glazed uPVC doors come in a number of styles. 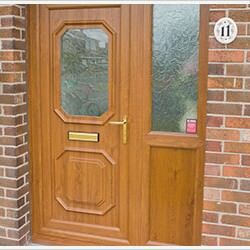 Our double glazed doors provide a beautiful and secure entrance to your Bexhill property. Our styles are suitable for the front of hour home, the back of your home, and even the inside. If you would like something more durable and solid than our uPVC doors, check out our double glazed Composite Doors . We offer a stunning range of double glazed conservatories to meet all properties and tastes. 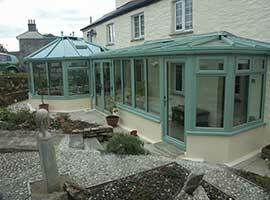 Whether you are after something modern or traditional, we have the right uPVC conservatory, orangery or glazed extension design for you. By extending your home, you will be able to create a new and exciting space without the costs of upgrading or moving. This glazed feature will not only increase the value of your property, but the state of the art profiles and glazing will improve the thermal efficiency of your Bexhill property. We have a selection of aluminium double glazing including aluminium windows and aluminium bi-fold doors. For a luxury and high end feel, aluminium provides a lightweight design with all of the resilience and strength to promote your property durability and longevity. This type of double glazing in Bexhill will suit modern homes, but can also suit modern and traditional homes. With over 150 RAL colours on offer, you can create any look. Your roofline is an important feature of your home and needs to be maintained to ensure your roof space is well protected. This is why we offer a range of tiled conservatory roofs, roof lanterns, as well as roofline products that include fascias, soffits, and guttering for Bexhill homes. If you are replacing all of your double glazings, make sure you check your roofline! 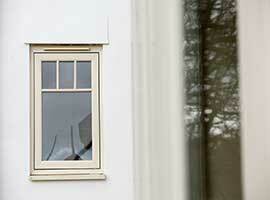 It is important that your double glazing in Bexhill looks great, and performs brilliantly. We understand this, which is why we work hard to bring you products that offer fantastic features. Our range of stunning double glazed doors and windows provide superior functionality including weatherproofing, security and durability. Our double glazed windows and doors work to reduce moisture which is excellent in keeping condensation away. Condensation can lead to costly issues in the home, leading to mould and mildew. Our fittings can help combat these issues by providing a sealed insulation option. Not only this, but with our replacement double glazing in Bexhill, you will no longer feel draughts, and your home will be protected from the rain. If you select Windows Xpress as your double glazing Bexhill installer, we'll make sure your home is a comfortable and warm environment. Our double glazing solutions provide you with energy efficient windows and doors that will keep warm air locked in and help reduce your energy costs. We carefully select products that utilise innovations and technology to give you exceptional thermal performance, giving you a warmer home with less energy expenditure. Our newly-installed double glazed products immediately secure your home against intruders. Our windows, doors, and conservatories are made of the most durable and robust materials, like uPVC, aluminium, as well as composite materials. Their strength is assisted by the industry-leading Yale system which is included by default into each profile. These exceptional locking mechanisms will keep intruders away and result in double glazing that fully protects your property. We use a range of materials when it comes to our double glazing products. Our collection includes a large range of uPVC doors and windows as well as aluminium options. 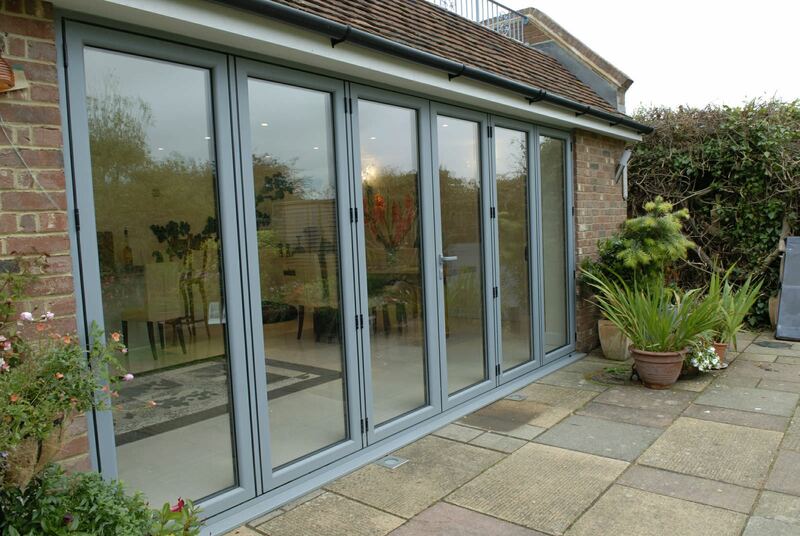 Aluminium is a strong and flexible material which creates doors and windows using less frame and more glass. These products give you a cost-effect investment with an expensive look which enables your Bexhill home to benefit from enhanced sightlines and exceptional views. Similarly, uPVC is a durable material that gives you amazing heat performance as well as security. These affordable products give you attractive looks at a price that is within your budget. We offer you a stunning selection of designs at Windows Xpress. You can opt for the styles that work best with your property. We even give you a spectrum of colours and finishes to choose from, so you can tailor your double glazing exactly to your needs and taste. We give you so much freedom in designing your double glazed doors and windows that they'll be bespoke products. Whether you select new windows, doors or a conservatory for your Bexhill home you'll be impressed with our level of quality and service as well as the affordable price tag. Our quote builder will present you with an instant online cost for your windows, doors or conservatories in Bexhill. Our easy to use double glazing price calculator provides you with a unique double glazing cost. Browse through a wide range of uPVC double glazing styles in East Sussex. Select options from our stylish range of uPVC windows, doors and conservatories. Before you get an online price you must enter your double glazing measurements. This is to provide you with an accurate double glazing cost, tailored to your specifications. The more exact your measurements are, the more accurate your double glazing price will be. By using our online quoting engine, you can plan ahead with your home improvements. You will receive a guide price that is tailored to your double glazing specifications. With this, you can calculate the costs of your double glazing as well as visualise what your new home in East Sussex will look like. Windows Xpress provides you with bespoke double glazing prices, depending on your specific needs and requirements. Simply start your tailored quote by using our online quote system. By using this, you will be able to find out about the cost of your home improvement project. We recognise that service is just as important as price. Our reviews on our Checkatrade page shows how effective our installations are. We have many happy customers. For more information, contact us on 01323 488 729. You can also reach us by sending us a message and we will get back to you as soon as possible. Get your free double glazing quote now! We have gained a wealth of industry accreditations for our quality double glazing.